Rent a Double Shots Basketball - either inflatable or frame style - One of our most popular arcade games! 2 players compete to see who scores the most points in a 1-minute time period. 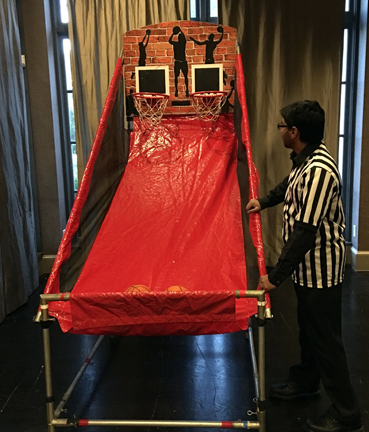 Double Shots Basketball - Inflatable or Frame Style- One of our most popular arcade games! 2 players compete to see who scores the most points in a 1-minute time period. Includes: Basketball game, 5 mini basketballs, timer, scorekeeping counter, and 1 attendant. Space: 12'l x 4'w x 7'h.